I cannot tell you how happy I am that June is here. I do not think I would be as elated if it was not for all the gorgeous sunshine that has been bestowed on merry ol’ England. It is so lovely and so warm that I find myself making any excuse I can for being outside. I have actually been able to catch up on most of the laundry since I can have it drying outside on the line. I honestly could get used to this. There is a sinking feeling in the pit of my stomach that the weather is just toying with me. That when summer is full on and I am vacation in Wales in August I will be greeted with nothing but rain. Rain is supposed to bring good luck on your wedding day, it did rain on my wedding day, and for my vow renewal I would just like a bit of sunshine. Please? So in the process of cleaning and folding clothes I have been in a spring cleaning mode to get rid of all outgrown or overly used clothes from my sons’ wardrobes. For me I have decided that means it is finally time to part with all those clothes I put on only to look in the mirror and throw it on the floor. While my husband has no problem shopping for himself and always looks so GQ on his way to work, I usually will not buy something for myself unless its a gift. Through looking in shops in the town of Bath and looking at the online websites I have decided to start looking for pieces needed to fill in gaps of my wardrobe and for the summer. Through my search I have realised I should check out a John Lewis shop. 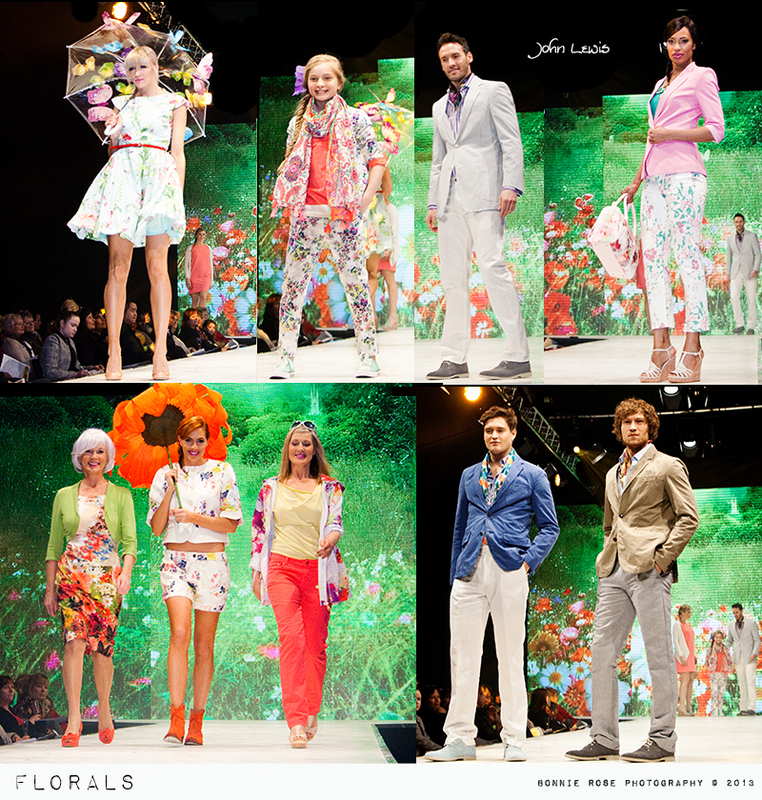 I had already seen much of the Spring Season 2012 of John Lewis at the Bristol Fashion Week a couple months back. I have not had the opportunity to be inside a store yet since moving back to Europe and yet I have a few pieces from John Lewis that I would love to own. 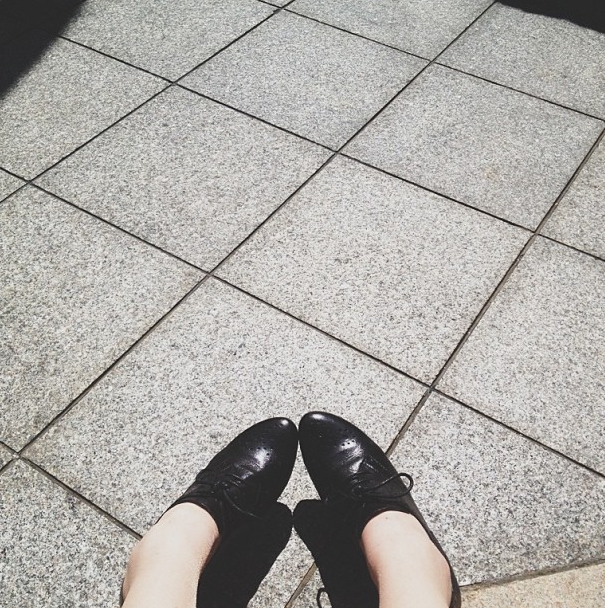 The first is the pair of wing tipped shoes my blogger friend, Jade, is sporting in the photo below. They look like a pair of shoes that should already be a staple in my day to day look book. I asked her where she had gotten them and she told me John Lewis. 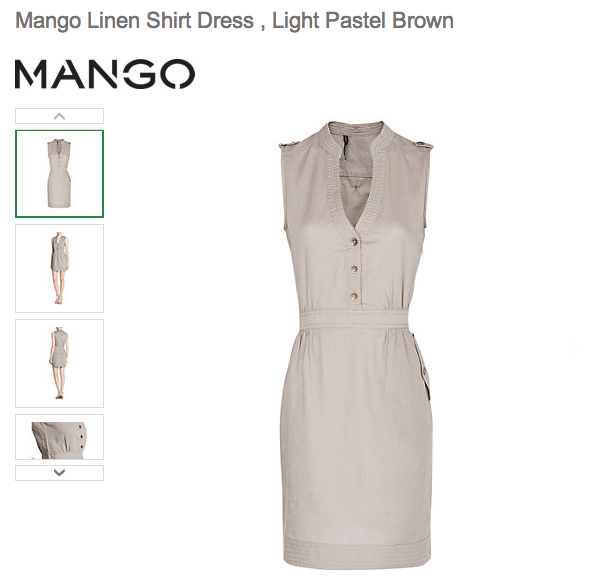 The next is this linen dress by Mango, something I found while searching for items to take with me to Wales. I have quite a few summer dresses but they were mostly all purchased in Hawaii and seem to fit that island vibe better than this one. This simple linen dress hit my eye because of the lines and details gives a very classy appearance. As a girl does my shopping online journey takes me from one train of thought to another and then I start thinking about California, my time living in the coastal town of Monterey, and my trips to San Francisco, L.A. and San Diego. There was one song that would always play on my music player when taking a road trip through or to California. California by dkjfdkjfkdjf The infamous theme song from the television programme The O.C. Which starred Mischa Barton who became the girl whose wardrobe we all wanted to raid. 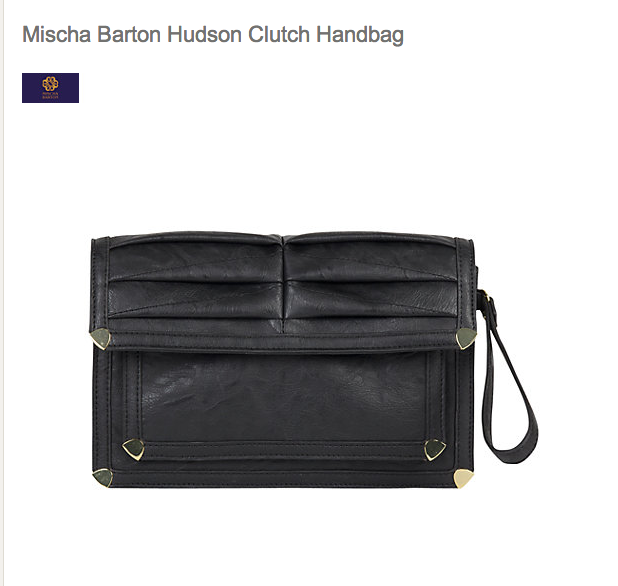 She now designs and there a purse of hers found at…you guessed it, John Lewis. So while the good weather is out I will be outside lounging in it, vicariously shopping online for the perfect items for my vacation to Wales. Q: What wardrobe pieces are you adding to your summer look this summer? Or are there any key items you think every Girl Gone International should have in her bag? As I look around for the prefect type of dress for my sister and friends to wear as my ‘bridesmaids’ for the vow renewal this August I cannot help but think about the curse of strapless dresses. My dress and the bridesmaids dresses were all strapless. My dress fortunately had been custom made and fitted so that it was snug tightly against my body. However it was a common sight to see one of my bridesmaids yanking her dress up as the day went on. There is also the issue of posture. 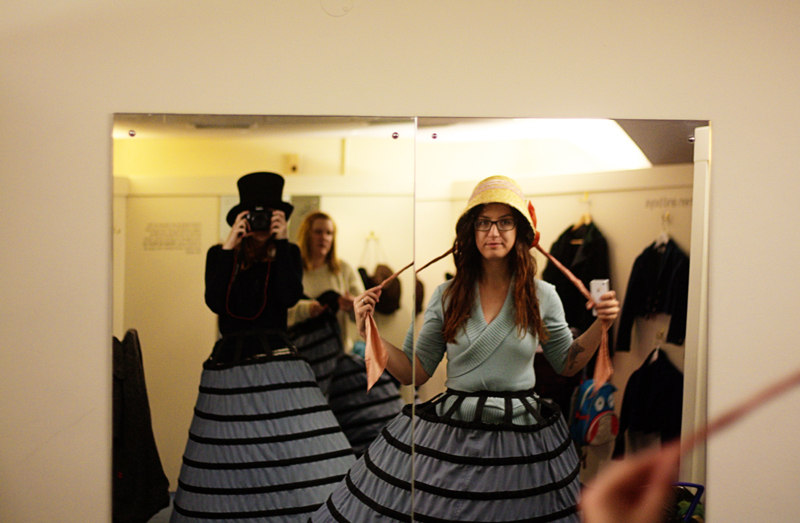 I was wearing a full length corset which made it impossible to bed at the waist, but perfect for standing nice and tall. 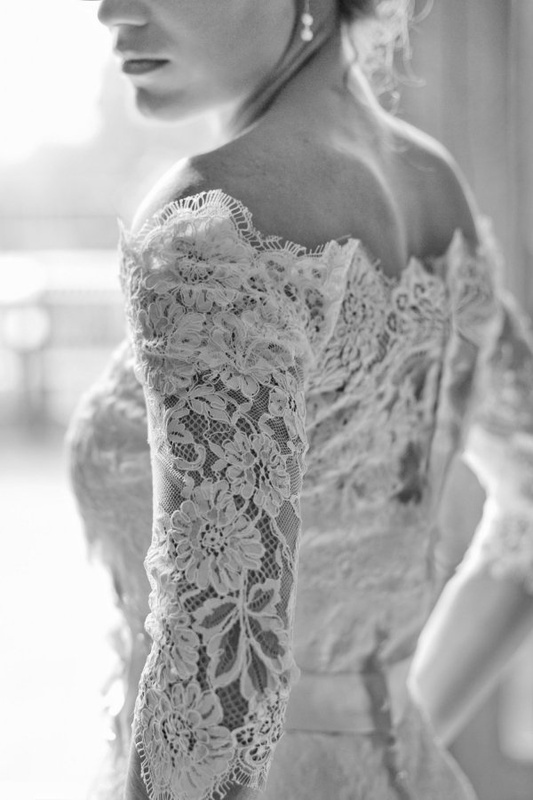 Depending on what angle a photographer uses, how your posture is at the moment, and what you are doing with your arms can either make or break a wedding photo when wearing a strapless gown. I really loved my dress and so far I am planning on taking it out of its perserved box to wear again this August. My Maid of Honour, my Bridesmaid, and my husband’s ‘Groomsmaid’ helping me button up my gown. Then the Royal Wedding happened in 2011 and brides were finally seeing another option for what to wear on their big day. There are many venues like the Westminster Abbey where a strapless gown is just not appropriate. As my mum commented below not every bride looks amazing in a strapless dress. Should you not have more options for looking the best you can be on that perfect day? To which I answered with an agreeing laugh to the meme below. So I am brought back to the question of what to wear for my vow renewal. I have my gown that I only got to wear for a few hours that was custom made and to which I still very much love. However it is my Vow Renewal for 10 years of marriage. I have been toying with the idea of updating it. I have always loved Gwen Stefani since junior high school and her wedding dress with the ombre pink accent was beautiful. I thought about replicating that with my dress until I realised it would lessen the chances of my own daughter (when I have one) wearing it for her big day. The sash on my dress flows as long as the train and is currently the same shade of duchess satin as the rest of the gown. I pondered about maybe just dying the sash as an easy ‘update’. However again I’m so nervous to do anything that could have the possibility of going wrong. 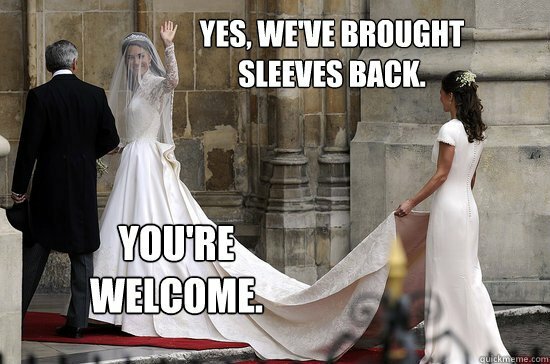 So lets pull this back to the whole conversation of bringing back sleeves. I was not a huge fan of lace ten years ago but now I honestly really love it. So I’ve been looking at coverups to use with my dress that can essentially give me two different looks for photographs. I could always just get some tulle and do something like the photo above. However, my number one choice is the off the shoulder shirt/jacket type coverup. I have seen ones I could wear under the dress and ones that go over the dress. My only fear is making sure the shade of the lace matches perfectly with the shade of white of my gown. I originally wore sleeveless gloves on my wedding day that I look at now and kinda cringe. I still love the gloves but the shades of white just do not mesh as well as I remember them doing back in 2003. 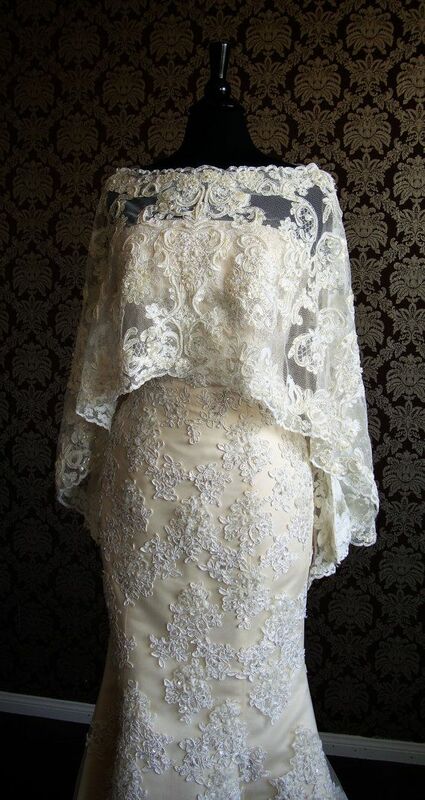 My second choice is the lace bolero jacket that looks similar to what the Duchess wore above. I love the look. 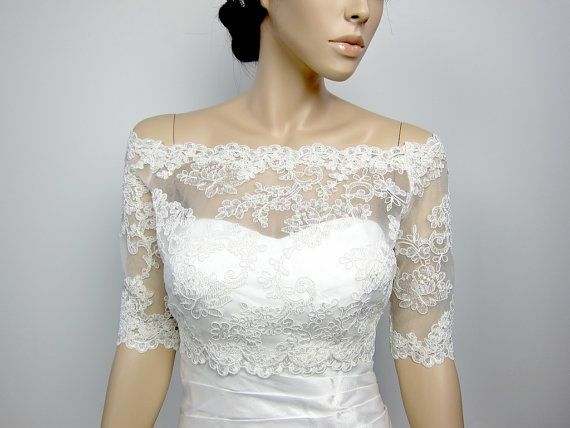 However I really like the more off the shoulder to the more conservative coverup. 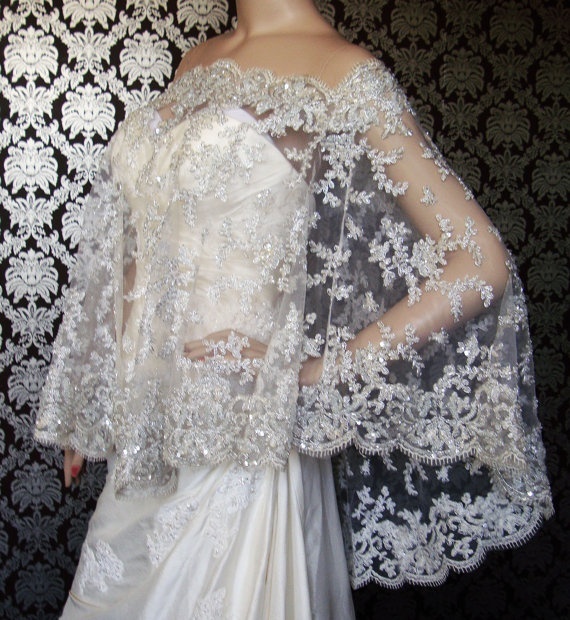 I am also really into anything bohemian and have seen a few capes that are beautiful. I would never have thought to even look for a cape, but you can always have your opinion changed with the right piece of styling. Where does that leave me now? Currently I have been looking at what I own now and what I can find in thrift stores to see if I can do a DIY piece to add a bit of ‘something old’ to our vow renewal. I have not yet found anything that works so keep your eye out for me. I love ideas! after I checked on their progress of making their bed. came with similar style wooded wardrobes and armoires. They do not all necessarily match however. 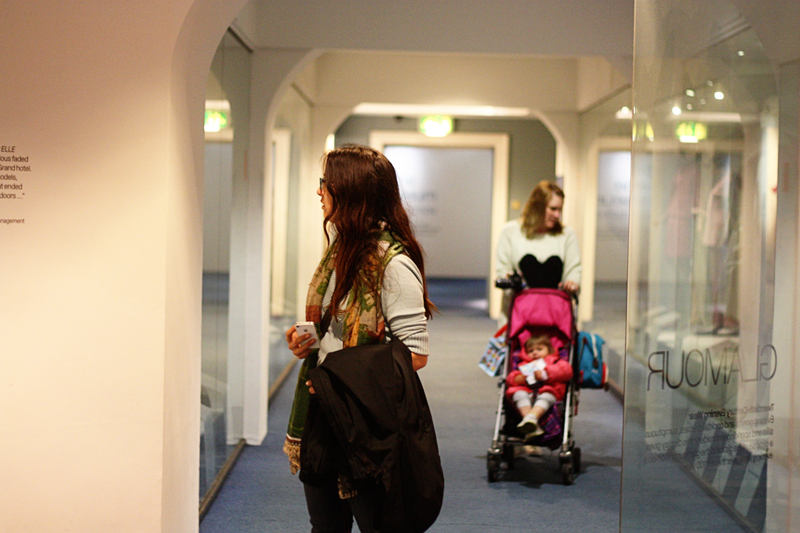 when it comes to instilling our own interior design. 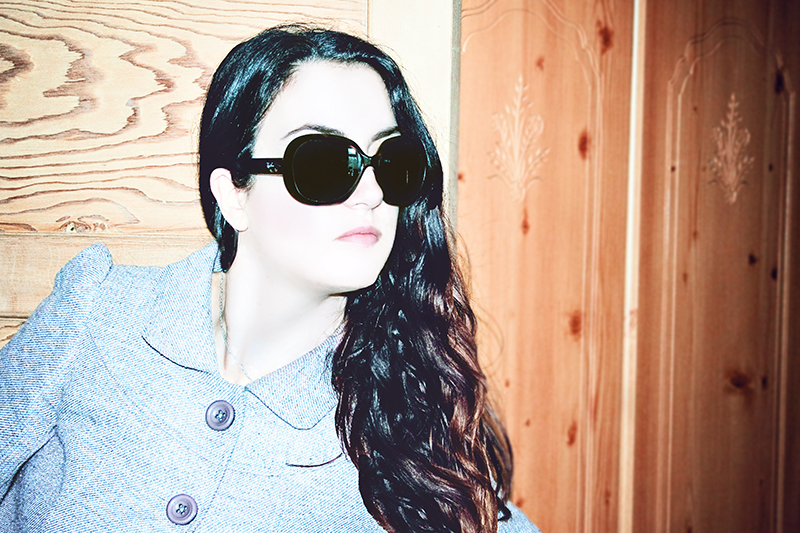 (side note: Yes, I wear my sunnies in the house sometimes. so if its light enough I tend to wear them. 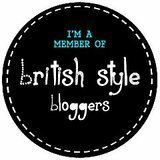 I was very honoured to be chosen by British Style Bloggers for the ‘Day in the life of a catwalk reporter’ competition. 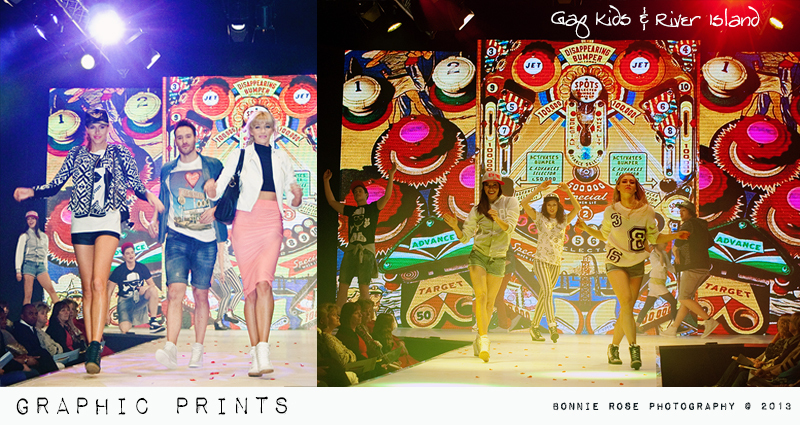 This was my first fashion show to attend here in England. 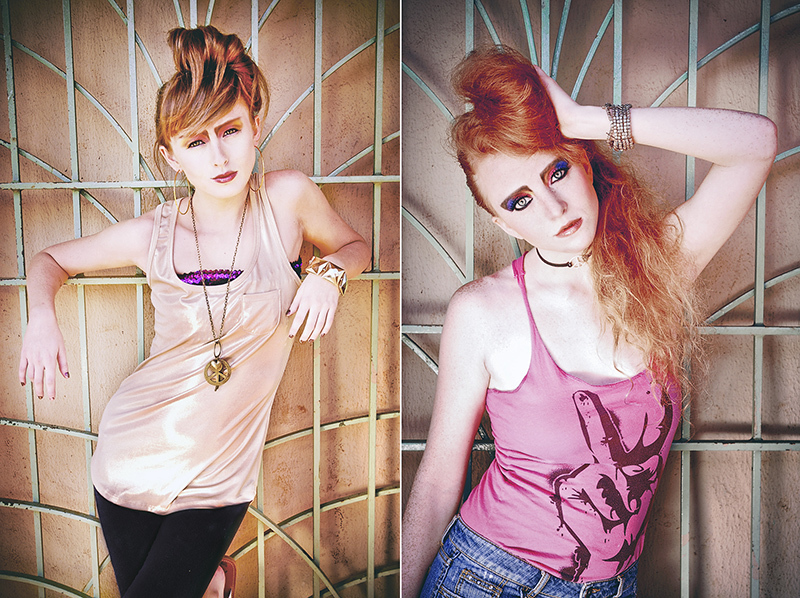 The last fashion show I attended was Tucson’s Fashion week in the US and covered fashion shows in Hawaii while I was living on the island as a fashion photographer. 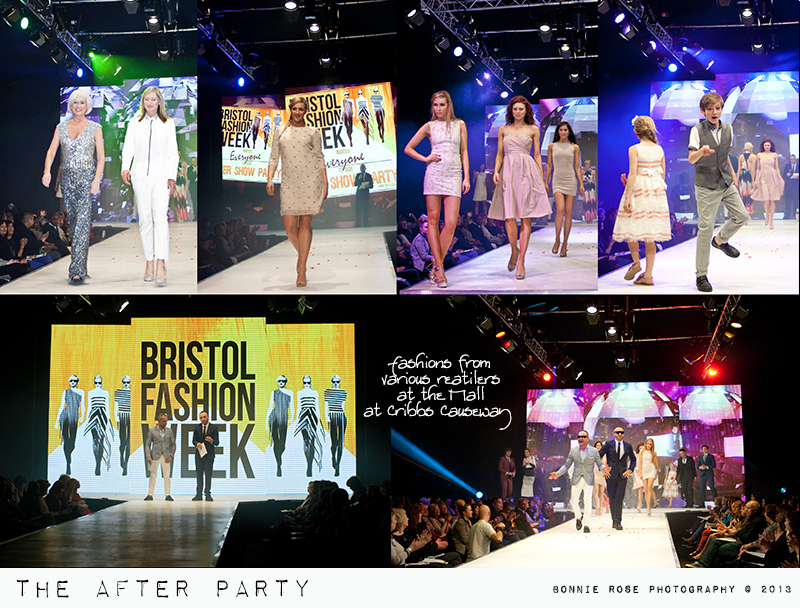 I really enjoyed being able to compare my experiences with Bristol Fashion week while getting to meet the other fashion bloggers. Since I have relocated to England I have noticed the differences between street fashion of women in England compared to what I have seen in America. Women wear a lot more denim and jeans in America where as here everyone appears to have a signature style. Be it a good or bad, it is their style. 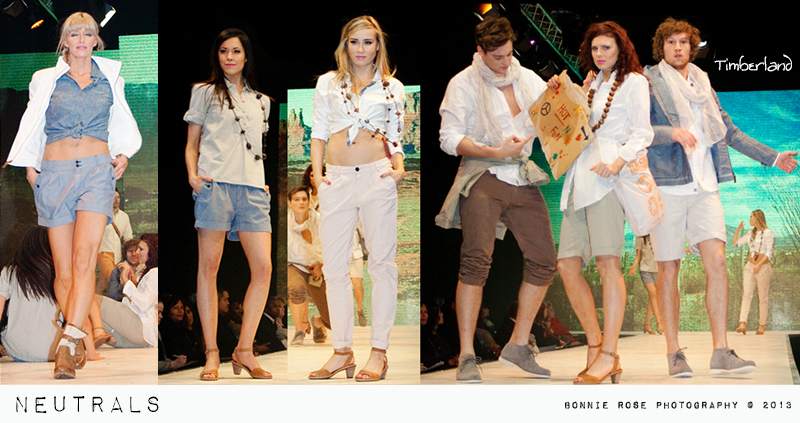 It is hard not to be inspired when among the other fashion bloggers at BFW with their personal style choices. I love how women in England take more chances with fashion and really grab from what is current on the runways of London, Paris, and New York. I left with not only new friendships but with new ideas about what to wear for the current spring season from what I saw on the catwalk and on my fellow bloggers. I loved seeing how they transferred looks from the runways to the high street as they showcased looks from stores within the mall at Cribbs Causeway. 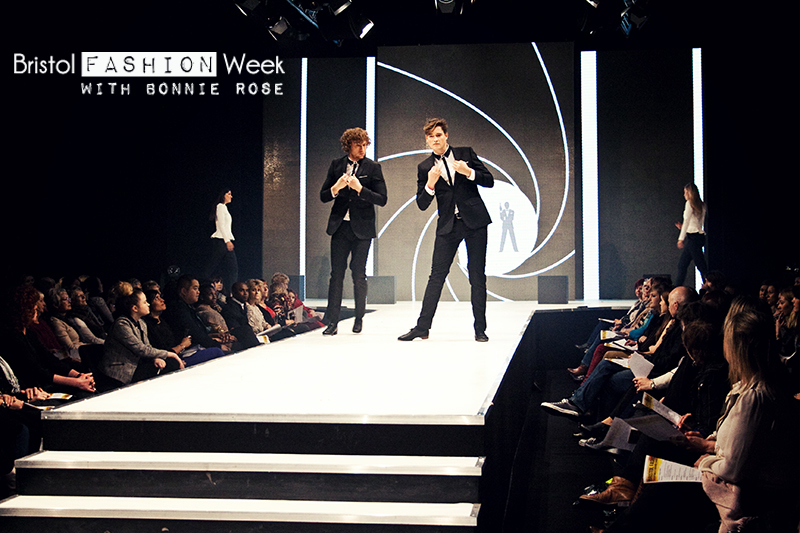 The show began with the James Bond theme and men looking dashing in monochromatic suits. 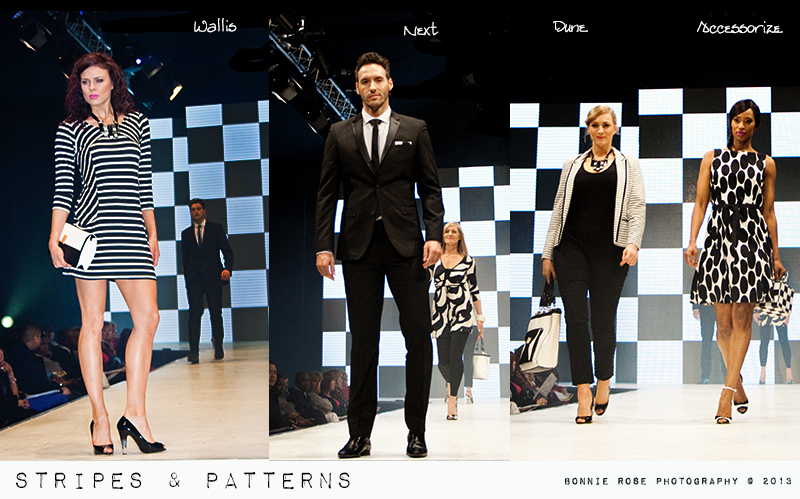 I was instantly hooked as I photographed from a prime location at the end of the catwalk. For Men’s wear my favourite looks were from Austin Reed and River Island. 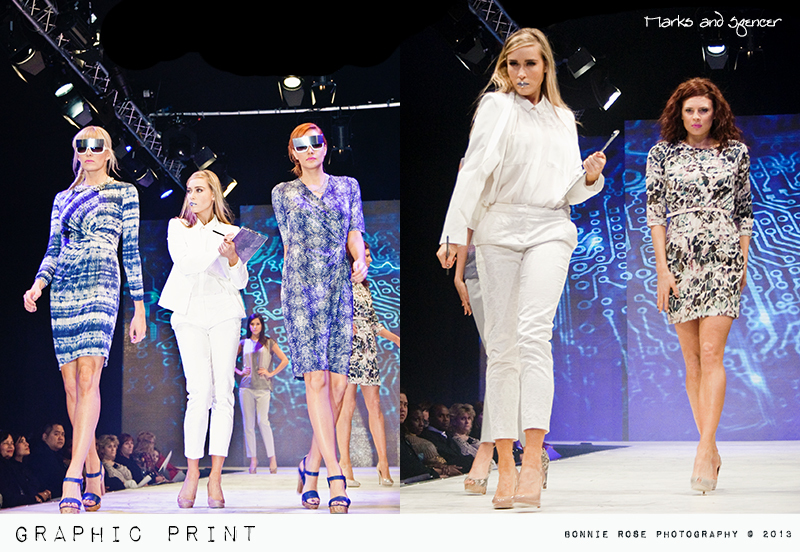 There were a lot of prints from monochrome to colour, but my favourite were the french inspired prints from Marks and Spencer. Between those dresses and the retro swimwear from Fat Face I have been motivated further to go on vacation in style. 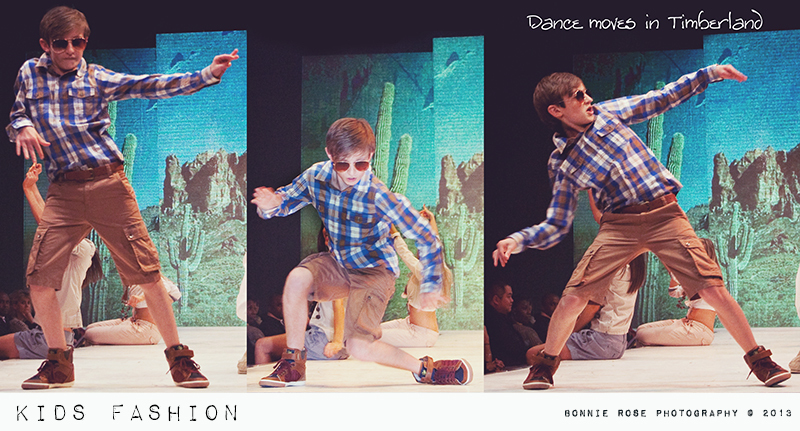 The children models truly stole the show with their dancing down the catwalk in Next and Gap Kids. 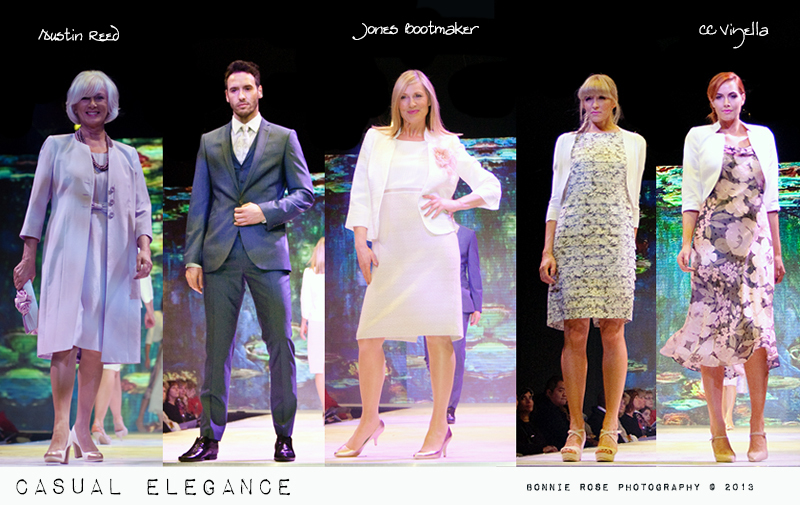 They were all looks that were perfect for those of us who shop the high street to implement for our own personal style for 2013. I leave you with one question. They began with James Bond music, dancers and men in black tie. 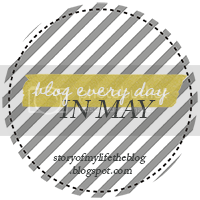 ***This was an article published at Bristish Style Bloggers. Click button above. 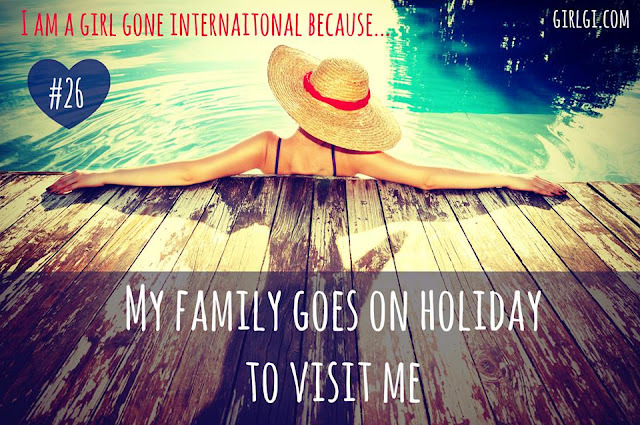 but have been a little delayed with taking care of my family. if your little one gets an ear ache. by the name of Lorna, of Raindrops of Sapphire. 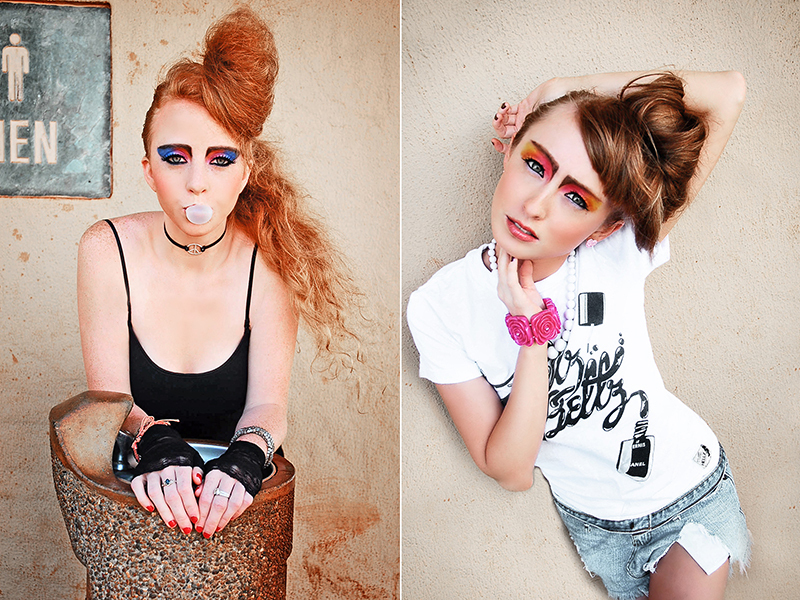 Lorna is very sweet and has beautiful ombre hair, which as a hairstylist I love. Plus she has, from what I see from her blog, to be an amazing wardrobe. Do you remember this photo below from what I posted on Friday? This is Lorna on the far right. On her left is Tara, Laura, Fritha, and Me. 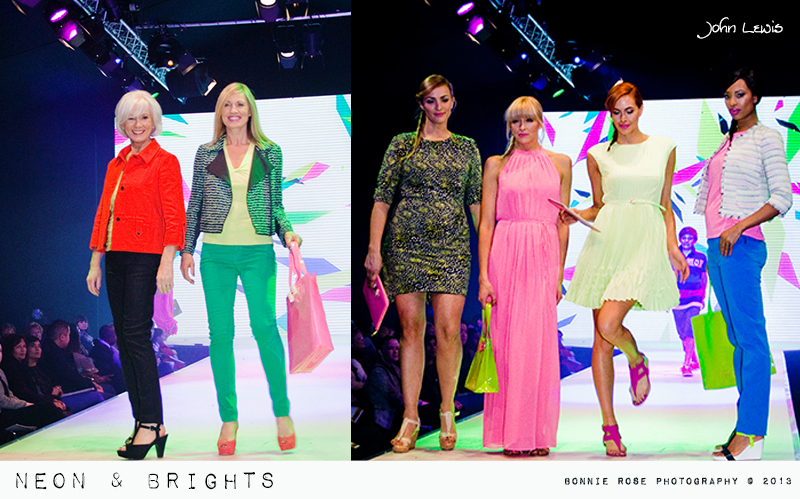 If you are either of the two gorgeous bloggers on the far left let me know. 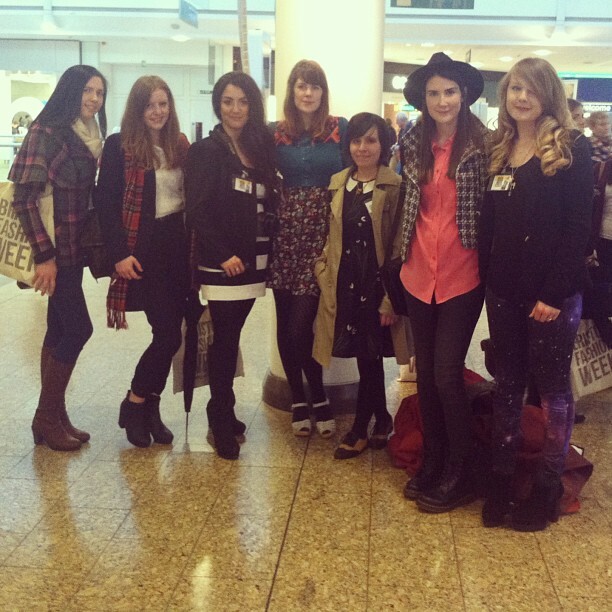 “This was my third time at BFW and it was definitely my favourite! I really appreciated these posts. Especially How To Hem You Jeans With The Original Hem. Thank you Lorna and make sure to check her blog tomorrow for a bit about me. Plus she posts some awesome fashion pieces.